The conference “Technical and Field related Problems of Classical and Electronic Archiving: Supplementary Education in the Fields of Archiving, Documenting and Informatics” was held this year in Radenci, Slovenija. The main themes of the conference were scientific study of archiviology, additional education and professional training of archivists, archival buildings, protection, access and use of archival holdings. The conference was attended by an international public: besides Slovenia there were also professionals from Italy, Germany, Austria, Slovakia, Croatia, Bosnia and Herzegovina, Serbia and Macedonia. 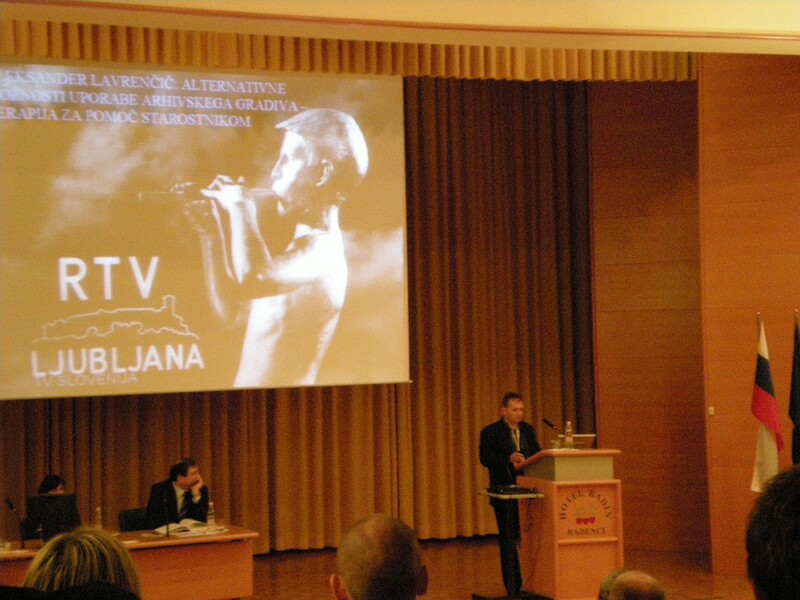 Various lecturers of Slovene and foreign lecturers from the fields of archival theory and practice, preservation, electronic archiving and long-term preservation were invited to speak about technical and field related problems of classical and electronic archiving. These problems included access and use of archives, archival buildings, electronic archiving and long-term preservation. Questions like how to deal with the protection of common cultural heritage – efforts of archives, museums and libraries, archival science between theory, legal provisions and their implementation and improving the quality of managing archival activities were addressed during the lectures. 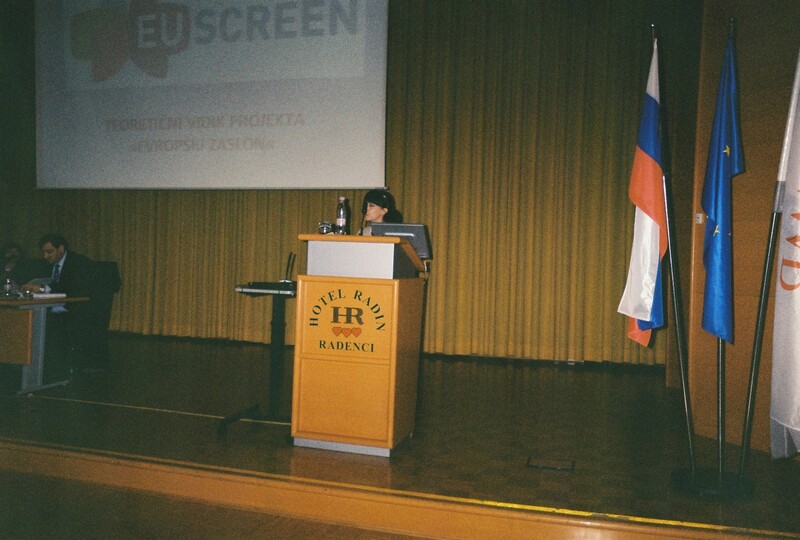 Katja Šturm held a presentation about EUscreen during the third day of the conference. This day was dedicated to digitisation of content and the presentation on the internet, how to run international projects and to promote archival activities and models of cooperation between archives. Other presentations in the session focused on using Slovenian film archives in theory and practise between 1968 and 2010 and alternative options of using archives – therapy for elderly people (inspired by “Storytables” and dr. John Ellis lecture in EUscreen conference in Rome).